Microsoft decided to release a new feature in coming months to help out users to find related products with review and other details. 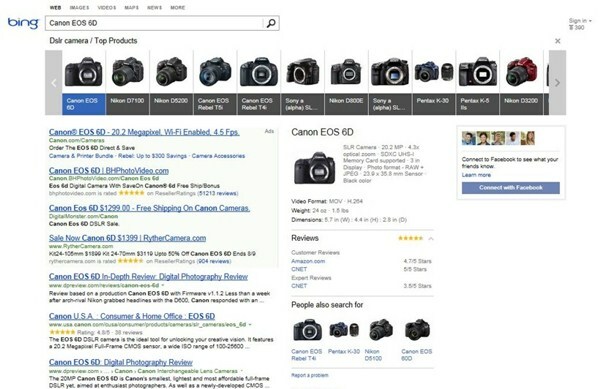 In Bing Product Search a carousel will appear on top of search page. The manual slider (carousel) will show you a horizontally aligned captioned snapshots of products related to your keywords. Upon click on any product appears on top will show you a snapshot of that product on the right side. The snapshot will display the product basic detail snippet from Wikipedia, price and review from popular websites, etc. Recommended: Why New Google Maps Are Simply WOW!